Light smartphone heavyweight. The newest flagship model by the Chinese manufacturer Xiaomi proves that it has arrived in the premium smartphone sector. High-end specifications, a generous configuration, weight of just 129 grams, and high-quality glass casing: These clearly challenge established companies at a local street price of just below 300 Euros (~$332). Xiaomi's best handset yet should worry the established names in the Android sector - it offers the same performance for half the price. A remarkable mobile in almost every regard. 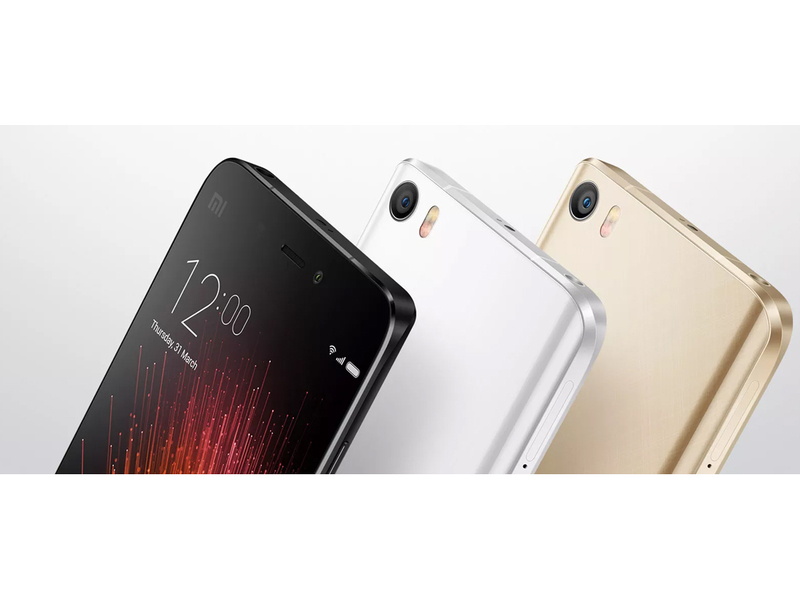 Xiaomi Mi 5 Specs Review: To Buy or To Wait for This Awesome Feature in Mi 5S? With this next generation technology in the Mi 5S, the phone will enable sensors on its panels and frames without any dedicated spot. Other leaked specs include the 5.15 inch screen and 6 GB of RAM paired with 256 GB of internal storage. The handset will sport 16 MP rear camera and pack 3,490 mAh battery. It will be powered by Snapdragon 821. So, is the Mi 5 for you? Well, if you want a well-built, light, ergonomically-sound “flagship” smartphone and only have RM1,549 to spend then probably yes. In fact, you could probably get it for less than the RRP if you pick it up with promo codes or through cashback services. To sum up: With the Mi5, Xiaomi is back in the flagship space, after skipping one product cycle. It’s a great comeback, and since Xiaomi prices tend to tumble a few months after launch, chances are the Mi5 will become even more attractive from a price/performance perspective in the near future. None of this would have been possible without Qualcomm’s stellar Snapdragon 820 and its custom Kryo CPU cores. Kudos to the gifted engineers in both outfits, they’ve done an impressive job. But on comparing the camera features, OnePlus 3 lags behind somewhat as Mi 5 offers more camera enhancements than OnePlus 3 camera. The camera on OnePlus 3 uses a stock interface that has nothing much to offer but it can be replaced with a nice third party camera app to avail the features. The camera on Mi 5 supports HDR, Panorama, Timer, Audio, Manual, Straighten, Beautify, HHT, Tilt-shift, Fish eye, Slow motion, Burst shot while OnePlus 3 stock camera offers HDR, HD, Manual, RAW, Panorama, Beauty, Time-lapse, Slow motion, Burst shot. Finally, we’d like to re-emphasize our point from the beginning of this comparison: the Xiaomi Mi 5 might have prices starting from $300 ($340 for the mid-tier 64 gig model and $400 for the 128GB one) in China, but if you import it from your average eBay re-seller you’d have to put a $100 on top of each of those prices. And all you get usually is a shabby 30-day warranty with no manufacturer service or warranty. No surprise: the Xiaomi Mi 5 is NOT meant to be sold outside of China (and maybe India and the adjacent markets). And that’s a risk that you have to know about. We end with reminding you: the Xiaomi Mi 5 is not a phone meant to be sold in the U.S. or Europe. It’s only available via unofficial channels (you can find it on eBay in the United States and shop from resellers with European warehouse like GizChina’s shop in the EU), but dealing with warranties and repairs would be a huge pain. That’s probably the biggest downside to owning a Xiaomi phone right now. Then, there is the price: the phone is sold for a full retail price of $300 to $400 in China, while third-party resellers add a $100 premium on top of that. The one-word review for this phone is "impressive". That's the word I keep coming back to. The Xiaomi Mi5 is impressively designed, impressive in its battery life, and genuinely impressive in terms of power and performance. It's reasonably easy to build a cheap phone these days, and it's reasonably easy to build a powerful phone – but you usually can't do both. For the £300 (US$450) or so that the Mi5 is available for you would expect a fair few compromises to have been made, but there are almost none. It’s an excellent phone that, while lacking visual flair, makes up for it with great hardware and an innovative customized Android experience. One last note about that software. The Mi 5 comes in two different versions: one for the Chinese market with Xiaomi’s Mi Store on board, and one for international markets with the Google Play Store and Google’s services. If you’re going to buy it somewhere online and you don’t live in China, be sure to get the international version. While the Xiaomi Mi 5 is a great all-around smartphone, only customers in China and India will be able to score it at bargain prices, starting at the equivalent of around $300 for the 32GB model. Shoppers from the rest of the world can buy the Mi 5 from eBay and other web stores, but chances are they'll end up paying a higher price. Most online retailers who sell Xiaomi products charge a price premium and ship their stock from China, which means you'll have to handle any import and sales taxes imposed by your state or country. Depending on where you are, these can be costly! With its fantastic array of high-end parts, the Mi 5 is a superb option. The package is only made sweeter by the its low price. The Xiaomi Mi 5 is around £300 cheaper than rival devices – such as the Galaxy S7 and HTC 10 – that run on similar hardware . Yet, it doesn’t feel like it. While it may not be quite as sturdy as those higher priced phones, it performs just as well. Should Mi 4 users upgrade to the Mi 5? That depends on 3 factors – 4G connectivity, slim form factor, a faster phone. On the software front, there isn’t much that will be different. If you have a higher budget, you can certainly go for the Samsung Galaxy S6. The only real issue with any Xiaomi phones is the flash sale model, where a lot of potential buyers just do not manage to get through on the day of the sale and are frustrated at not being able to buy the phone. So, if you’re willing to be patient with the Mi 5 flash sales, this phone certainly offers a good value proposition. Should you buy the Xiaomi Mi 5? If you don’t mind MIUI and the average camera, then yes. However, money is not the only thing you will need to buy the handset. You will also need patience and an hour in hand. Due to demand exceeding supply, Xiaomi currently only sells the Mi 5 in India on Wednesday at 2PM through its official website, where it usually goes out of stock within a minute or two. Worse, Xiaomi only sells the white variant of the Mi 5 in India right now with 32GB of storage space. Since the phone lacks a microSD card slot, the lack of a higher 64GB offering from Xiaomi can be a deal breaker for many. If you are ready to live with these compromises, the Mi 5 is almost a no-brainer, as it offers the best value for money in its range. A fantastic Android flagship that comes in at an outrageously low price, the Xiaomi Mi 5 has the braun and the beauty to match the greats. Perhaps not a wise choice for first time Android users, but those comfortable in customising the setup will love the excellent-value, gorgeously designed Xiaomi Mi 5. Overall, there’s no denying that Xiaomi has made yet another excellent smartphone. The Mi 5 undercuts the best smartphones on the market in price but not nearly as much in features as in previous years. Although its lack of U.S. availability and 4G LTE support are a major hurdle, its low-light camera may be somewhat disappointing, and MIUI could use a few updates, there’s certainly a lot to love about the Xiaomi Mi 5. The Xiaomi Mi 5 without a doubt pushes the boundaries of what has been achievable in an affordably priced handset. The phone brings top of the line performance, amazing battery life and stunning design for a price point of Rs. 24,999 which is unprecedented. Sure, the camera could be a bit better and we do lament the absence of a higher capacity variant in India but we can’t help but recommend the Xiaomi Mi 5 as a device that lines up right alongside the current generation flagships and handily wins from a price to performance ratio. Xiaomi may be better known for its budget smartphones, but with the Mi 5 it has shown that it is more than capable of building a competent premium device as well. Although a lot of people will have problems with the price and the general idea that Xiaomi is even trying to build something premium, we feel that it's time to move on and give the company the respect it deserves. The Mi 5 is a solid effort that succeeds in giving you a flagship smartphone experience at a price that we consider excellent for a phone of this quality. Xiaomi made it easy for us. The Mi 5 is one of the most beautiful, most powerful, and most capable smartphones to date and there is little to dwell on it. If the Mi 5 is available in your geographic region, our recommendation is to grab one right away. The Xiaomi Mi 5 is a flagship class smartphone, at a mid-ranged price. The Snapdragon 820 makes it one of the most powerful smartphones in India at the moment, and even after being downclocked, it can go toe-to-toe with a Samsung Galaxy S7 Edge. The camera is disappointing, but at Rs. 24,999, there's no denying the value. Xiaomi made it easy for us. The Mi 5 is one of the most beautiful, most powerful, and most capable smartphones to date and there is little to dwell on it. If the Mi 5 is available in your geographic region, our recommendation is to grab one right away. Xiaomi is not ready to offer waterproofing just yet, but we can forgive its omission by being dazzled by the looks and thin profile. The lightweight glass body and sturdy metal frame, both thoughtfully crafted, may have had suffered from water-proofing anyway. 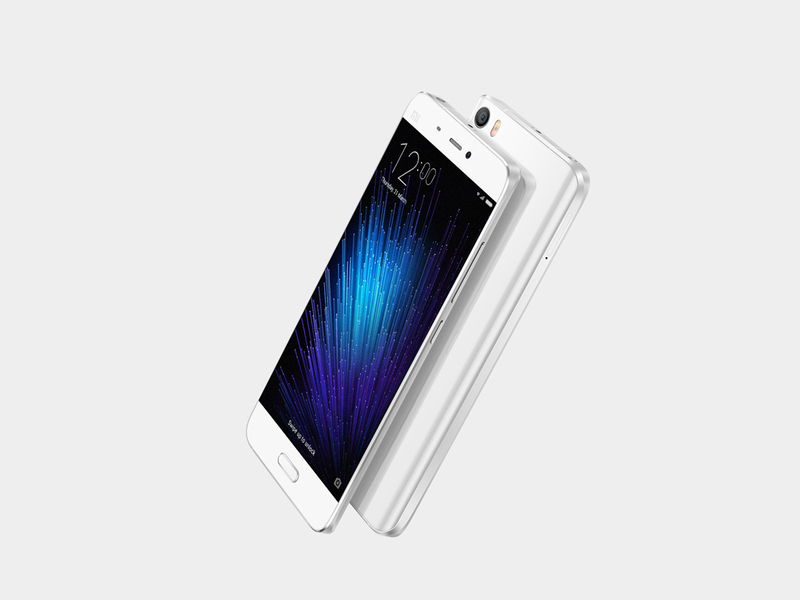 The Xiaomi Mi 5 features a new 5.15" IPS display of 1080p resolution. Even though most of the rumors suggested an upgrade to 2K resolution, Xiaomi chose to keep the Full HD screen, and we don't mind that. A pixel density of 428ppi is more than respectable and leaves the Snapdragon 820 chip with power to spare on tasks and productivity. Positive: Metal case; elegant design; high performance; decent hardware; good cameras; low price. Positive: Elegant workmanship; excellent display; long battery life; good cameras; good price. Negative: Slippery; no extended microSD; unsupport waterproof and wireless charging. 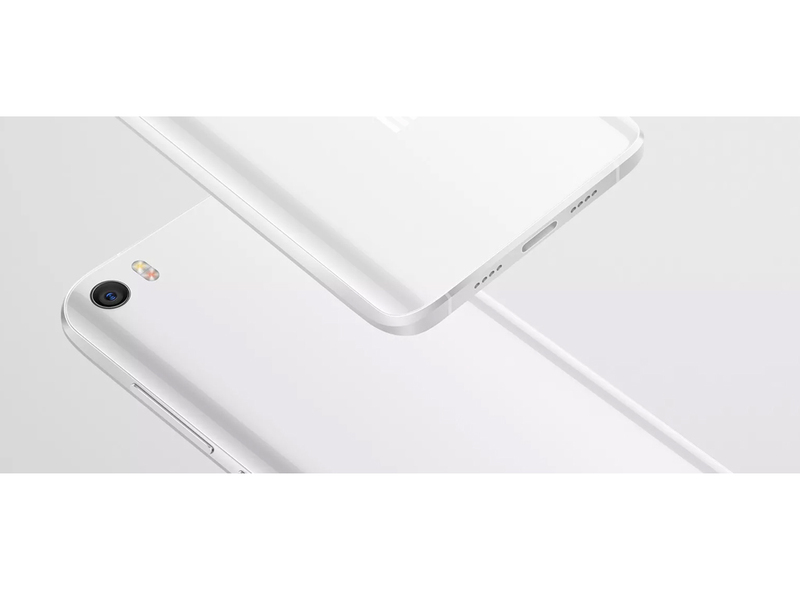 75% [TEST] Le Xiaomi Mi 5, du haut de gamme à petit prix, oui ça existe ! 72% Test, Recenzja, Opinia – Xiaomi Mi5 – Chiński tygrys z przytępionymi pazurami. Positive: Light weight; good display; fast charging; high quality cameras; good price. Negative: Unsupport extended memory slot; mediocre performance. Xiaomi Mi 5 kullanıcı deneyimi. Positive: Flexible fingerprint sensor; good display; nice design. Negative: Short battery life; mediocre speakers. Positive: Decent performance; dual Sim; good speakers; metal case; smart cameras; support fast charge; flexible fingerprint sensor. Model: The Xiaomi Mi 5 is an inexpensive premium looking smartphone. It has the look, built and feel of a premium phone with its glass finish, an all-metal frame with sandblasted surface and an all 3D glass made of Corning Gorilla Glass 4. The metallic and rounded edges are non-slippery and have good ergonomics when using it. It is a very glossy smartphone so fingerprints and smudge will show up frequently. It is running on MIUI 7 on top of Android 6.0 Marshmallow and powered by either a 1.8 GHZ or 2.15 GHZ Snapdragon 820 processor and 3 GB RAM. There is also a choice between 32 GB and 64 GB flash memory. There is nothing much to be said about the 5.15 inch Full HD IPS screen except that it is beautiful and awesome. Colors are rich, deep and it makes pictures and videos look realistic. There is also a 16 MP camera on the back and a 4 MP front camera. The rear camera comes with optical image stabilization and the camera's performance and speed are also very good. The smartphone is available in black, white, and gold. It is very light at 129 g and has a 3000 mAh battery with Quick Charge 3.0 function that allows the smartphone to be fully charged in about an hour. 820 MSM8996: High-end ARM SoC with 4 CPU cores (two fast 2.15 GHz cores in a cluster and two power saving 1.6 GHz cores) and an Adreno 530 GPU. Manufactured in a 14 nm HPM process.» Further information can be found in our Comparison of Mobile Processsors. 81.62%: This rating should be considered to be average. This is because the proportion of notebooks which have a higher rating is approximately equal to the proportion which have a lower rating.